We love Alien Frontiers. It's one of the reasons Rise to Nobility is on this Math Trade. But we feel the Outer Belt is the better expansion and usually we'll just play with that one. Still in excellent condition. We've only played one game with it and the cards were sleeved. This is a reasonably recent version - bought new late 2018. 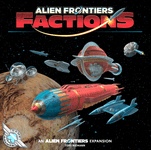 Reminder: This is an expansion and requires Alien Frontiers to play. 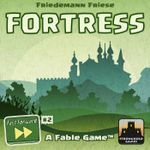 Update: Will add in Fortress as a Sweetener. This is essentially a resetable, legacy-style (rules change from game to game) card game with no rulebook - you learn the game as you go. A neat idea, but not one we want to revisit. Components are all present and in good condition.